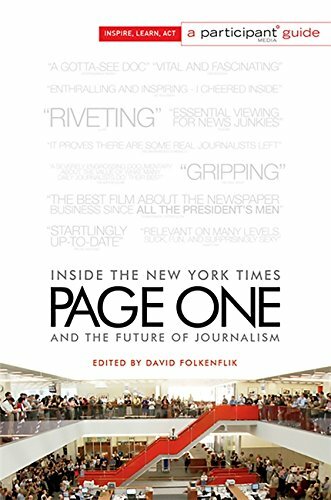 David Folkenflik, NPR’s award-winning media correspondent based in New York City, edits the book. Kate Novack and Andrew Rossi created this idea for a film project. Novack and Rossi are husband-and-wife documentary filmmakers. An earlier film by this team is “Eat This New York,” about friends trying to start a restaurant in Brooklyn. James O’Shea is the former managing editor of the Chicago Tribune and then the editor of the Los Angeles Times. In his essay, he chronicles the calamitous events when the Tribune Company of Chicago acquired Times Mirror Company of Los Angeles. O’Shea calls it the “Deal from Hell,” as the arrangement emptied the Times of nearly 50 percent of its news staff and changed the editorial style from one of hard news to cotton candy. He is emphatic that it is not the Internet that was not the cause of declining readership but the reaction of those who are in charge. O’Shea said, “The lack of investment, greed, incompetence, corruption, hypocrisy, and downright arrogance of people who put their interests ahead of the public’s,” as the reason newspapers are having problems. For those interested in the status of how news is being analyzed and delivered, Page One is a most encompassing volume on the issue of the future of journalism and newspapers.